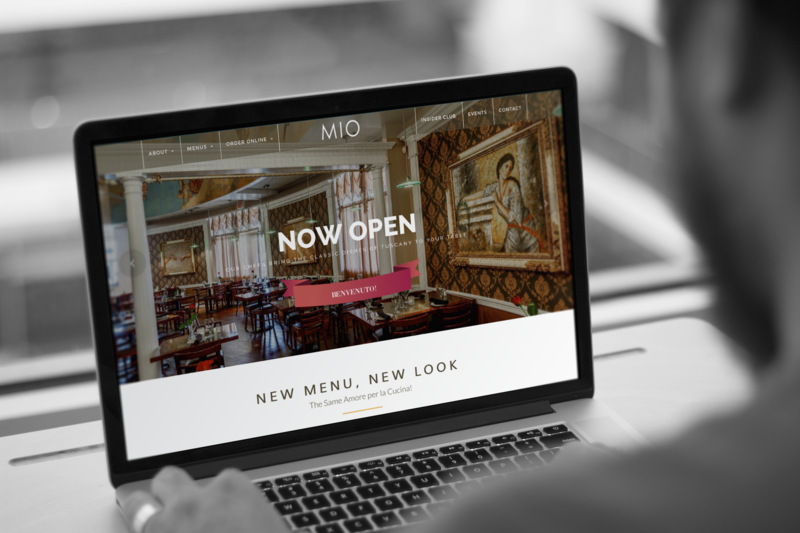 As a restaurant in the process of rebranding itself, MIO felt the existing website needed a complete overhaul. 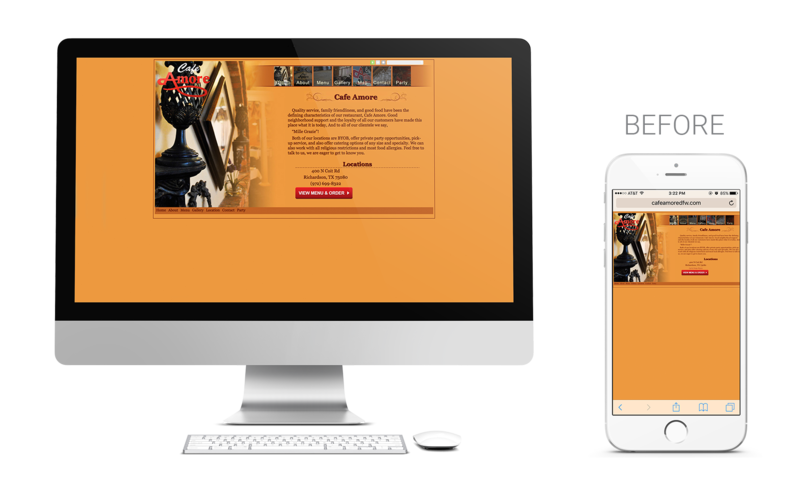 They wanted a new site that was mobile responsive, had an appealing new look, and presented a user-friendly interface for both new and existing customers. 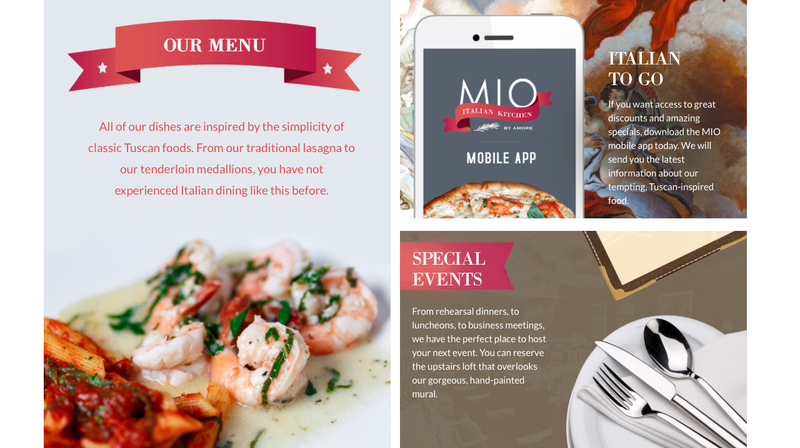 The Client was so happy with the site we developed, including the new brand development that went along with it, that they have become an on-going client of TIK:TALK’s. 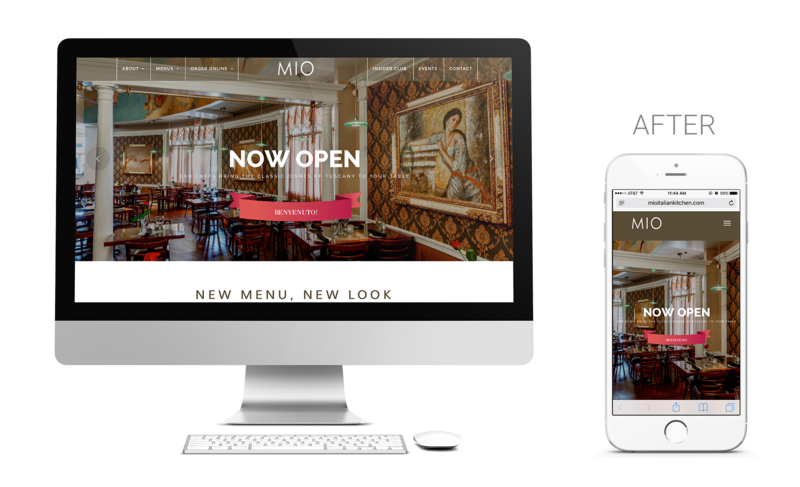 From developing a mobile app, to managing social media, to handling press releases, TIK:TALK is proud to continue working to build MIO into a staying brand. 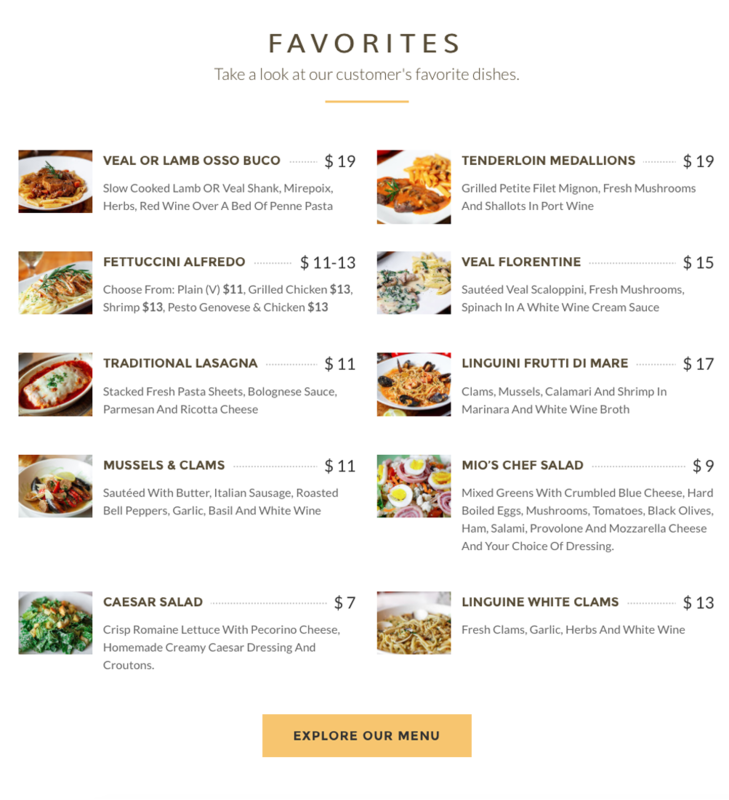 Since launching the new site, the client has seen an increase in their customer base, as well as a shift to being known as a traditional italian dining location.